To create a more pleasant and memorable experience for you we are pleased to offer the following comfort amenities. Please let us know if you would like one or more of the following for your visit today! Blanket | Keep warm and comfortable with our selection of hygienic blankets. We offer a variety of high quality blankets, including specialty heated blankets for the patients who need a little extra warmth in their day. Pillow | Rest your head in relaxed style. This pillow is super soft and will help ensure a relaxing dental office visit. It can also be used on your lower back while you relax and watch your favorite television show. Neck Pillow | Get ready for a first-class comfort experience with our sophisticated neck pillows. The contoured design helps align your head, neck, and shoulders offering superior neck support and ultra-plush comfort. Heated Neck Wrap (scented\unscented) | Your aches and pains will melt away with our scented or unscented therapeutic heated neck wrap. The ergonomic design allows for it to lie gently on your shoulders and around your neck providing relaxation throughout your appointment. Movie Goggles | Movie lover? Enjoy your next flick with our futuristic movie goggles. Comfortable and lightweight our movie goggles virtually transform your surroundings into a fully equipped, 100% private entertainment system. Headphones (Pandora) | Cringe at the sound of dental equipment? Alleviate your anxiety and drown out all distractions with our in-office headphones. Whether your want to listen to your favorite band or fade away to the ocean tide nothing will be getting in the way of your relaxation. Heat & Massage Exam Chair | We know what your thinking and no we have not gone too far. Your exam chair was designed with you in mind. 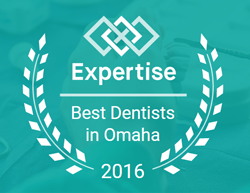 Body support, sensory stimulation, and an overall more comfortable and relaxing environment is providing while undergoing your dental treatment. A control pad is provided enabling you to control the sensory input.